to like or share posts from the PatrioticMoms.com blog. Then many thousands of likes disappeared from past posts. I could not fix the issue or find a source of help. Eventually I discovered the problem was limited to this blog and added a new blog that allows users to like and share posts with their friends on Facebook. ​Problem solved! This blog covers content posted from May 2011 to June 2013. It has my very first attempts at blogging, tends to be more political, and has occasional articles of more general interest. I posted daily, so this includes many posts I hoped would be helpful for patriotic moms and their children. When I discovered dads were frequent visitors, I included them too. 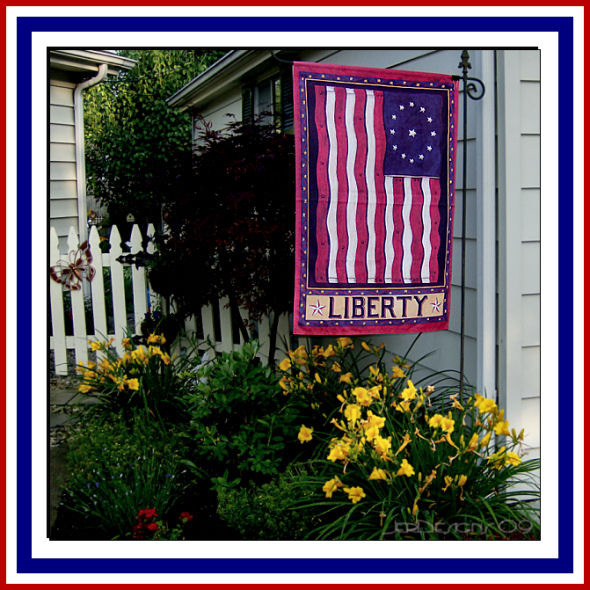 The blog created in June 2013 is a little more focused on constitutional principles that every American should understand and on some of our inspiring history, heritage and heroes. Hope you find what you came for! If you don't (or even if you do) please fell free to let me know. Today, D-Day, we pause to remember the 6th of June, 1944 when thousands of courageous Allied troops faced almost certain death or injury as they stormed the beaches of occupied France. Their courage changed the course of history. ​Soldiers, Sailors and Airmen of the Allied Expeditionary Force! We're here to mark that day in history when the Allied armies joined in battle to reclaim this continent to liberty. For 4 long years, much of Europe had been under a terrible shadow. Free nations had fallen, Jews cried out in the camps, millions cried out for liberation. Europe was enslaved, and the world prayed for its rescue. Here in Normandy the rescue began. Here the Allies stood and fought against tyranny in a giant undertaking unparalleled in human history.We stand on a lonely, windswept point on the northern shore of France. The air is soft, but 40 years ago at this moment, the air was dense with smoke and the cries of men, and the air was filled with the crack of rifle fire and the roar of cannon. At dawn, on the morning of the 6th of June, 1944, 225 Rangers jumped off the British landing craft and ran to the bottom of these cliffs. Their mission was one of the most difficult and daring of the invasion: to climb these sheer and desolate cliffs and take out the enemy guns. The Allies had been told that some of the mightiest of these guns were here and they would be trained on the beaches to stop the Allied advance. Senator Rand Paul's message is simple. Hopefully young voters, entrepreneurs, farmers, and everyone who loves liberty will listen and resonate with his message. The primary purpose of a sales tax was originally to pay for necessary services a company required to do its business. The tax was used to help cover the cost of company services from the police department, the fire department, and so on. Internet companies don't require those services and should not be required to pay for them. The internet sales tax places an immense burden on small companies, and makes it virtually impossible to compete with larger companies in the market place. Please watch and share this video of Catesby Jones telling his story. Thanks so much for reading my note. If you wouldn’t mind, please share this video with your friends and family. This morning a Facebook friend's wall declares, "Adversity is mandatory. Misery is optional." I believe that's true. Life, although it's sometimes laden with frustration, worry, even pain, can be overflowing with purpose and meaning. The trials and adversity that can overwhelm us can also refine us and make us wiser, stronger, and more compassionate. When we do that, we experience the hope that transforms our trials into blessings. Two competing forces are pushing on America’s K–12 education system today. One is an effort to infuse education choice into a long-stagnant system, empowering parents with the ability to send their child to a school that meets her unique learning needs. The other is an effort to further centralize education through Common Core national standards and tests. Across the country, education choice options have been proliferating rapidly, including vouchers, tuition tax credits, special needs scholarships, and education savings accounts. Educational choice is a revolution because it funds children instead of physical school buildings and allows dollars to follow children to any school—or education option—that meets their unique learning needs. CHOICE EMPOWERS PARENTS to direct their child’s share of education funding, giving them options beyond an assigned government school. CHOICE PRESSURES PUBLIC SCHOOLS with a much-needed competitive atmosphere, which works toward improving educational outcomes for students who take advantage of choice options as well as students who choose to attend their local public schools. CHOICE HELPS KIDS. Seventeen states and Washington, D.C., now have private school choice programs—and more states are considering implementing choice options. Education choice represents the type of innovation and freedom that will provide long-overdue reform to the K–12 education system, and holds the potential to truly raise educational outcomes for every child across the country. But at the same time this encouraging shift toward education choice is underway, there is a push to take education in the exact opposite direction through Common Core national standards and tests. COMMON CORE IS an effort to centralize education by dictating the standards and assessments that will determine the content taught in every public school across the country. COMMON CORE HAS NO EVIDENCE that it will improve academic outcomes or boost international competitiveness. But the Obama Administration has pushed states to adopt national standards and assessments in exchange for offers of billions of dollars in federal funding and waivers from the onerous provisions of No Child Left Behind. COMMON CORE ASSUMES that top-down, uniform standards and assessments—driven by federal bureaucrats and national organizations—are preferable to the state and local reform efforts guided by input from parents, teachers, and taxpayers. Few people need the ability to learn and teach important skills more than Patriotic Moms. So this TED talk is a gold mine for us. Josh Kaufman specializes in teaching people from all walks of life how to master practical knowledge and skills. In his talk, he tells how his first child inspired him to approach learning in a whole new way. The major barrier to skill acquisition isn't intellectual...it's emotional. We all feel stupid at the beginning of learning a new skill, and feeling stupid isn't fun. But it's worth it. All it take is 20 hours. "The President is in danger of losing his moral authority to lead the nation." Congresswoman Michele Bachmann will not run for re-election in 2014. In this video she explains why to her friends and supporters. Though not everyone agrees with her political positions, most informed Americans respect Michele Bachmann as a leader of character and courage. Her influence in the Tea Party movement cannot be overstated, and the Tea Party is changing the course of history in America. Michele is a wonderful example of a mom who saw a need and went to work to make a difference for our great nation. We express our gratitude to her for her untiring efforts. May God bless her as she begins a new chapter of her life.